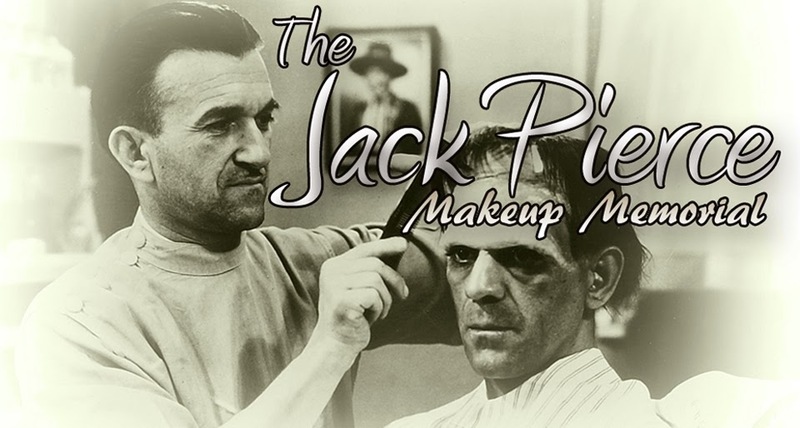 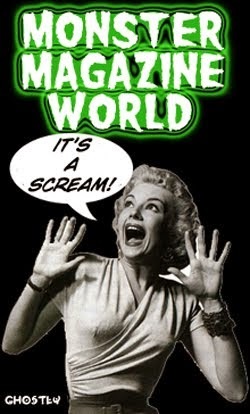 Considering the usually daunting work of making up the entire cast of a movie, it was not unusual for Jack to employ the use of makeup assistants. 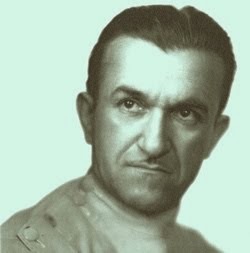 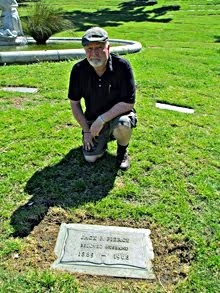 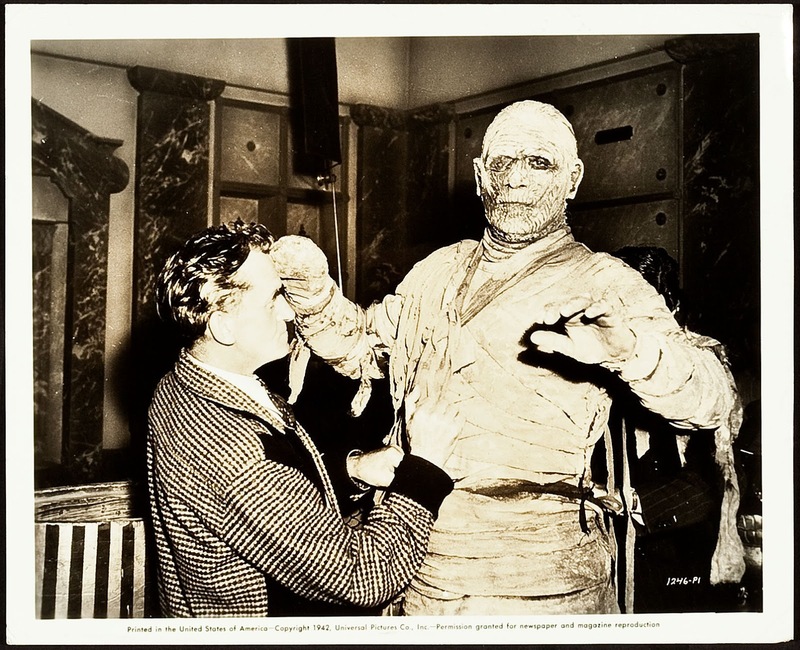 Pictured above is Joe Bonner, who assisted Pierce in preparing Lon Chaney Jr. for his role as Kharis in THE MUMMY'S TOMB (Universal 1942). 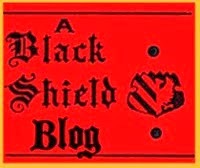 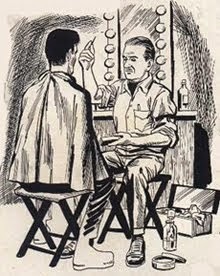 Bonner was born in England in 1881 and died at the age of 77 in 1959. 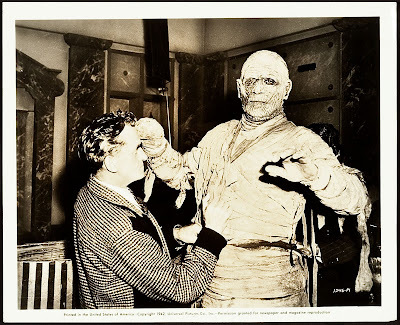 The snipe on the reverse of the photo reads: "Makeup man Joe Bonner puts a touch on Lon Chaney's outfit to ready him for the cameras in Universal's latest horror epic, "The Mummy's Tomb".